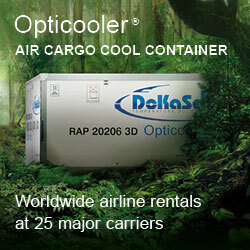 Middle Eastern based carriers have proven their worth over the past two decades as serious air cargo carriers. These range from the Gulf stalwarts, Emirates, Etihad and Qatar Airways to Istanbul based Turkish Airlines. 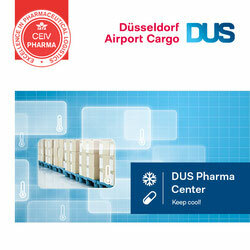 All have set up large cargo handling networks and worldwide routes for freighters of for their belly holds. 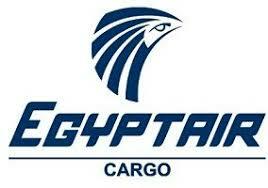 The Cairo based national carrier of Egypt has also long since established itself as a name in air cargo. Admittedly not as large as its above mentioned comrades, but also with a good product offering. Now the carrier has plans to expand its portfolio of long-haul destinations. Egyptair offers quite some belly capacity in their fleet of ten B777 and ten A330 passenger aircraft. This does not seem to be enough for the carrier’s future cargo plans. All passenger flights originate and end in Cairo, whereas cargo flights can also use airports such as Ostend in Belgium and Cologne-Bonn in Germany as hubs. Egyptair Cargo which was founded in 2002 as the official cargo arm of Egyptair, has an aging fleet of three Airbus A300 freighters which have a maximum payload of around 40 tons. The decision was taken a couple of years ago to opt for a more modern freighter and discussions were held with Dresden based Elbe Flugzeugwerken who were offering airlines a passenger-to freighter (P2F) version of the Airbus A330-200 aircraft. This can carry up to 60 tons of cargo and is it seems ideal for Egyptair Cargo who have ordered three of the type with Elbe. The first freighter will be handed over this June, with the remaining two following in early 2019. This is an ideal replacement for the fuel hungry A300F and it is still not decided whether one or two of the old aircraft might stay in the fleet for regional traffic. 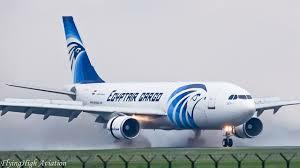 Egyptair Cargo plans new routes, among them New York’s JFK Airport as well as destinations in China and Hong Kong. Although much of the cargo transported by Egyptair Cargo consists of fruit & vegetables, which are a major source of income for the country, the new cargo fleet can enable them to carry other types of hard cargo between the Far East and the USA and vice versa. The Cairo hub will have to be rejuvenated and updated for future operations. Here there are plans for an extension of 15.000 sqm warehouse space. Egypt sits at the corner of Africa and the Middle East and trade between both areas is said to be good. Egyptair Cargo has decided to acquire two B737-800 freighters which will also be P2F conversions and are expected to join the fleet during 2020. They, with their 20 tons payloads, can be ideally utilized for operations to and within Africa. Egyptair Cargo is on the way to being just as good a cargo carrier as its larger neighbours. Thats pretty true. But : Egypt Air Cargo is mostly delayed on any flights with the consequence that cargo connections frequently fail on beyond Cairo destinations. That again leads to a delayed delivery and financial and image losses of the airline itsself. It needs urgent operational correction otherwise they´ll might have a problem fillig their next Gen. Cargo Jets.